Blessed Spirit of Our Lives: We pray for solace, comfort and healing for all those who suffer from the ravages of HIV and AIDS—for those living with the virus, for their families, for their communities. Blessed Spirit of Our Lives: We pray for the healing of broken hearts and for relief from the grief that pains spirits and minds and leads many into despair, wondering about the meaning of life. Blessed Spirit of Our Lives: We pray for healing from the psychological pain of HIV and AIDS, and from the fear and hopelessness that can lead some to die even before the virus kills. Blessed Spirit of Our Lives: We pray for an end to the social stigma and discrimination that result in acts of isolation and failure to provide quality care and prevention. Blessed Spirit of Our Lives: We pray for an end to unhealthy relations that expose partners and spouses to HIV and AIDS infection, and renders some powerless to protect themselves. 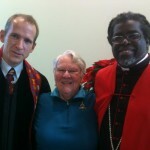 Blessed Spirit of Our Lives: We pray for transformation of the poverty that exposes millions to HIV and AIDS. We pray for transformation of exploitative social structures that condemn many to poverty and expose them to infection. 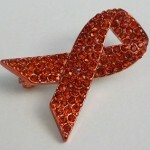 Blessed Spirit of Our Lives: We pray for transformation of the violence that spreads HIV and AIDS. We pray for transformation of the ethnic and civil wars that enable the spread of the virus. We pray for transformation of domestic violence that enables the sprad of the virus. Blessed Spirit of Our Lives: We pray that our own hearts, our own minds, our own spirits may become open, that we may become aware of the impact of HIV and AIDS in our own communities. Blessed Spirit of Our Lives: We pray that in response to this openness we may become instruments of healing, that we may become instruments of solace and comfort, that we may become instruments of peace, that we may become instruments of transformation.